We’ve had large, appreciative crowds at a new series of public forums, partnering with the UH community colleges to provide updates on state projects and listen to people’s concerns. 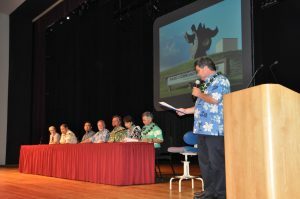 So far, cabinet members and I have held “Community Connection” forums at Windward, Honolulu and Kaua‘i CC. Still to come are other forums at Leeward, Kapiolani, Maui, Hawai‘i and the new Palamanui campus in Kona. The interactive events include a real time text-in poll with students and community members asking a wide range of questions ranging from traffic and homelessness to education and jobs. 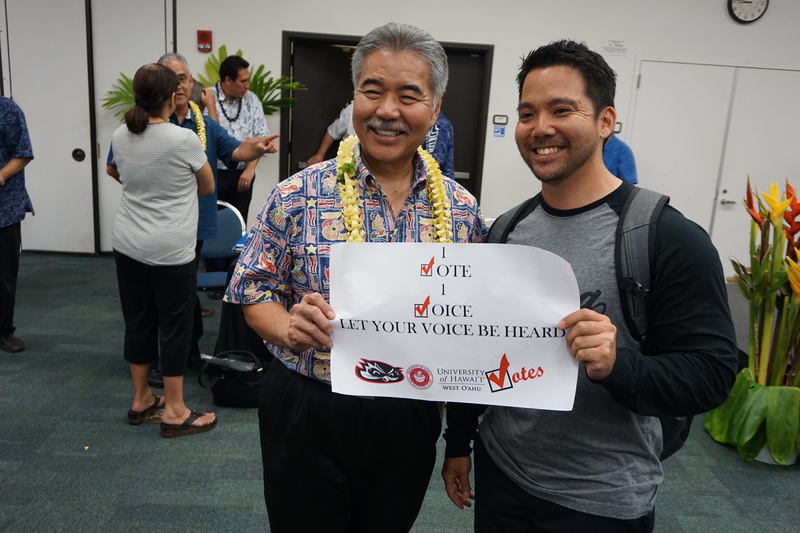 “I think it’s important for the governor and his administration to reach out to the community to understand the issues that are important to us,” said Kāneʻohe resident Kathy Olivera. 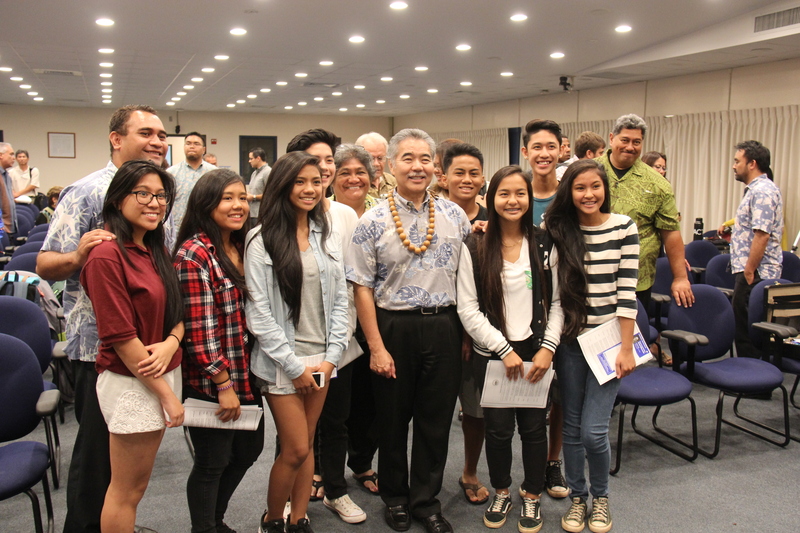 Top image: Students from Farrington High School gather for a photo op with Gov. 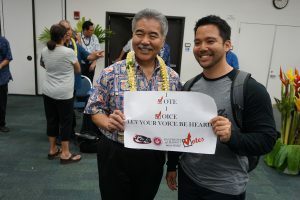 Ige at the HCC forum. Middle image: West O‘ahu student Kyle Tokuda poses with the governor for a school project at the WCC forum. Bottom image: Senate president Ronald Kouchi introduces Gov. Ige, the First Lady and members of the governor’s cabinet at the Kaua‘i community forum.